I hope you all had a fun weekend! 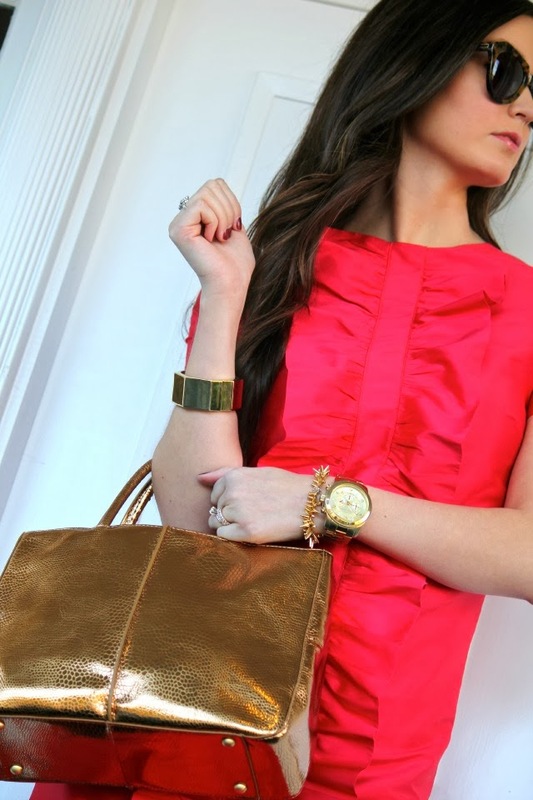 I'm so excited to be featuring one of my favorite new designers, Courtney Zwick of courtneykate.com. 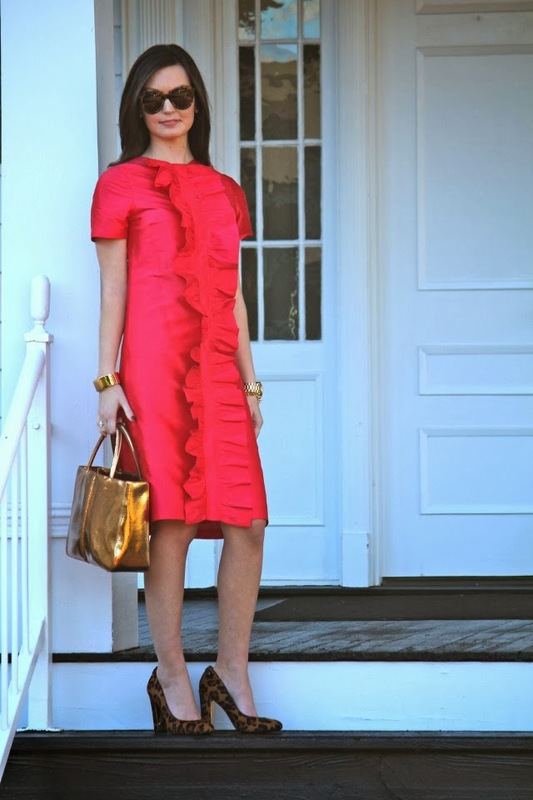 The moment I saw this gorgeous red dress with the delicate ruffles, I immediately fell in love. So perfect for the holiday season! 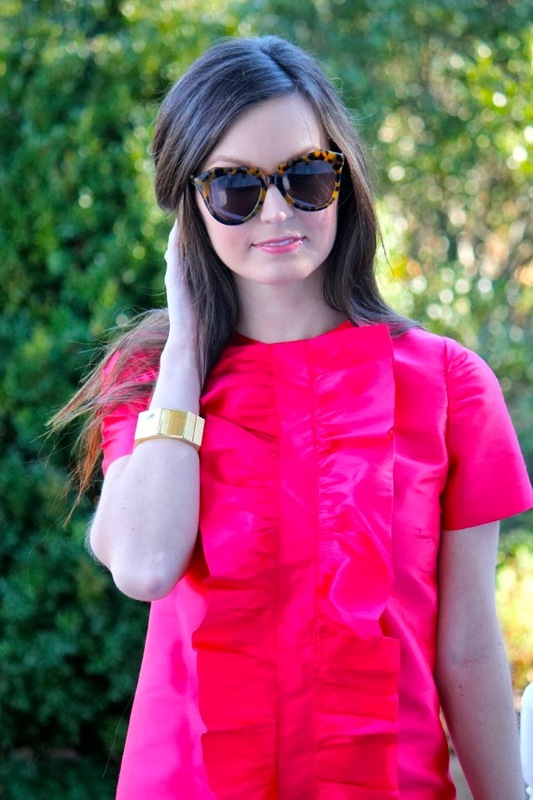 If you haven't already, head on over to courtneykate and check out her beautiful collection. Gorgeous dress! Love it with the leopard! love the color with that leopard! That dress is so pretty and perfect for this time of the year! Gorgeous design.